Checkout this Video on how to install or replace your side locking clips on your 2006-Current Baggo Game! The road to Zoobrew & $500 starts tonight in Little Rock, Arkansas! 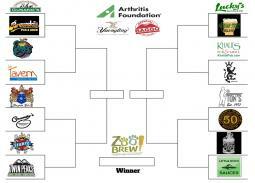 Yuengling and Baggo are hosting over 10 Baggo Tournaments around central Arkansas to benefit The Arthritis Foundation Arkansas! The 2018 Baggo Singles Championship at Blue Canoe Brewery in Little Rock, Arkansas came down to Neal Reed vs Ronnie Collier. Neal & Ronnie both sat undefeated at 4-0 in the Semi-Finals.